What goes around comes around. I introduced my daughter Kimberly to whisky in the late 80s when whisky drinking started to move beyond the blends and glens. She soon became a Macallan girl, insisting on only drinking the 18 year-old. Now she has returned the favor by introducing me late last year to MiddleWestSpirits, her hometown brew-maker in Columbus, Ohio. 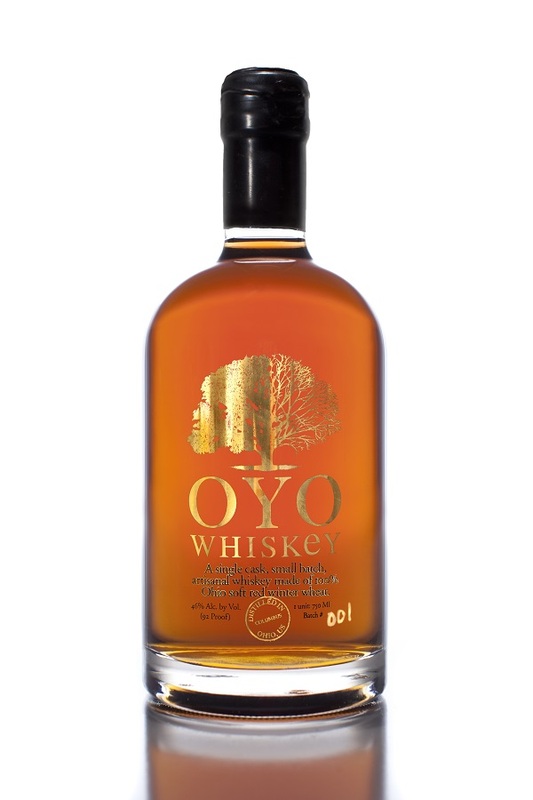 After tasting their Wheat Whiskey for the first time, I immediately put it on the short-list of candidates for TD’s whisky of the month choices. 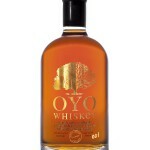 Now TD is pleased to announce that we have selected OYO’s Wheat Whiskey as our February Whisky of the Month. 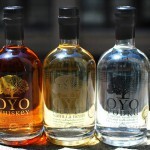 Middle West’s latest dark spirit is a unique new addition to the crowded field of corn, rye and barley-based whiskeys. 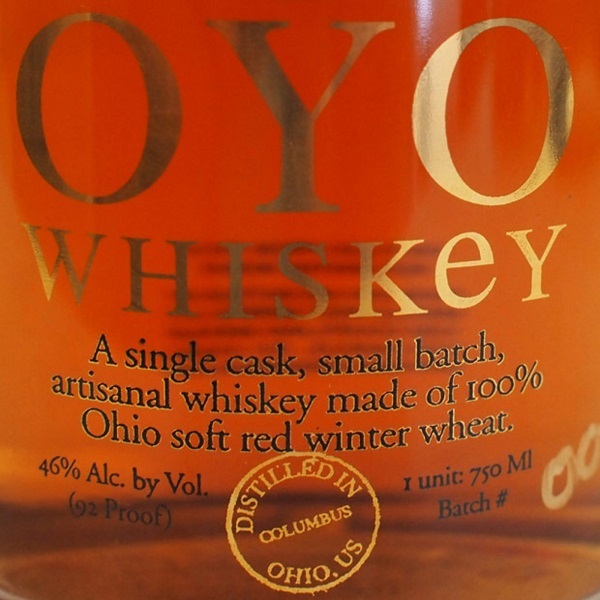 Made from the same soft red winter wheat as OYO Vodka and produced and aged in small batches, OYO Whiskey offers a one-of-a-kind flavor profile distinctive for its Ohio origins. 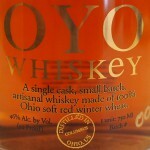 OYO Whiskey is made from 100 percent Ohio Soft Red Winter Wheat and is barrel aged in cooperage sealed with bees wax. 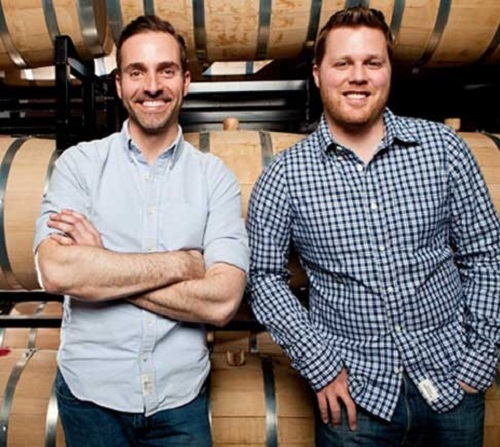 The instant TD hear Ryan Lang, Head Distiller and Owner, say “grain to glass” and use the French word terroir to describe their approach to whiskey making, we knew we were in for a treat. The words match their spirit, describe their processes and mirror their products. Here is TD’s exclusive interview with Ryan Lang. 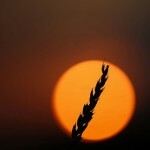 RL: When we started the company, we worked on a philosophy of grain to glass, quite literally. 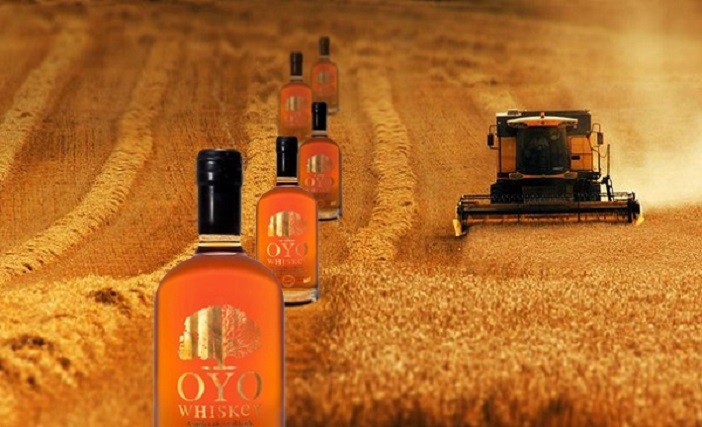 We spent a great deal of time with farmers of Ohio to understand growing practices, strains of materials, mineral, ash, protein contents of grain profiles and found a champion in the grain world for a very specific wheat whisky that would be akin to a single malt type product, with some Ohio based twists. 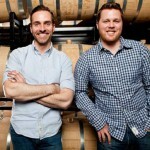 TD: We note the use of the word terroir in your description of this whiskey on your website. This is a word almost exclusively used when talking about wine, especially French wine? 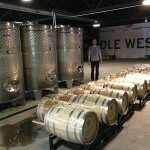 It looks like MiddleWestSpirits is breaking new ground here, so to speak, and applying it to whiskey making. Is that the case? 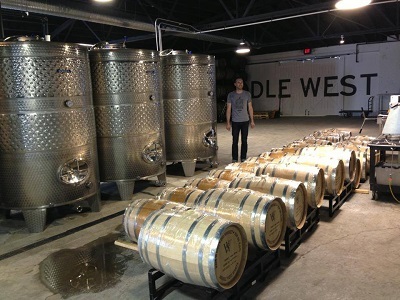 RL: Middle West, first and foremost, is a culinary based distillery. We focus on terroir in everything we do. That includes everything from infusions of tart cherry and vanilla to what soil we grow our grains in. That’s why we spent so much time working with our local producers. 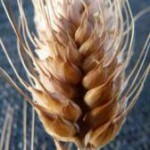 TD: Is wheat harder to work with than say rye or barley? RL: Not necessarily in mashing. Mashing in for barley, rye or wheat all have their little nuances. 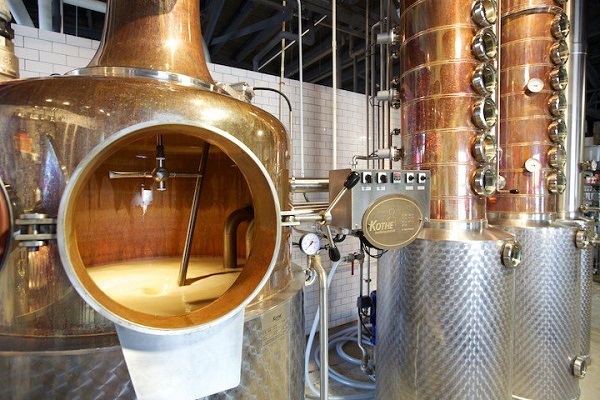 The challenge comes in when you distill the grain. 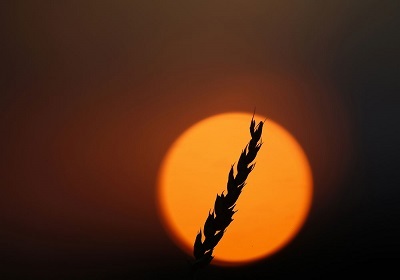 Wheat inherently is a light grain that is often used in production of products for vodka. It’s a lighter spirit in nature, so extracting heavy flavor compounds can be challenging, especially for whiskey production. TD: What is the story behind you logo and pronunciation of O-Y-O? It doesn’t have anything to do with a certain football team in Columbus, does it? RL: Ha, one would like to think right! If my bottles said Ohio State Football on them, I bet I would be a great deal richer, possibly sued as well! No, the name is actually the original name of Ohio. It is an Iroquois reference to the Ohio River Valley. It quite literally translates to “”Beautiful River”. 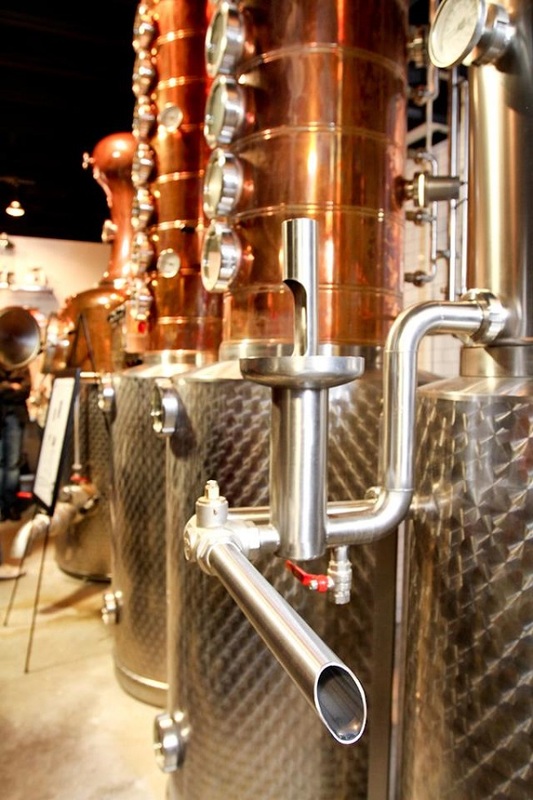 The best of distilleries dot the transportation routes along the Ohio River from the 1800’s and 1900’s. We also source the vast majority of our raw materials come from our state. We felt it was necessary to pay homage to those facts. 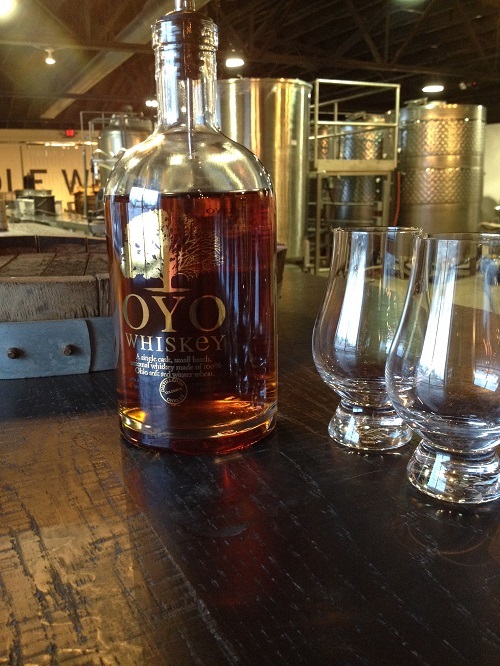 Thus our product name is Oyo, pronounced, “O – Y – O”. TD: Can you say a few words about your whiskey-making process, without giving away the “crowned-barrels”? What kind of barrels do you use? Is there any charring going on, you know, the technical stuff many whiskey lovers like talking about. 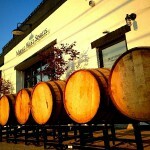 RL: Ahhh, whiskey, where to start when barreling? The art, craft and science behind mashing, grain bills, fermentation, distillation methods all drastically effect the finished white whiskey, but the barreling process is another beast all in itself. We are certainly novices when it comes to longer term barrel aging, but have certainly learned what we like and don’t like when it comes to aging our spirits. We first off use virgin oak, air dried, not kiln dried and charred at different levels depending on our finished product. 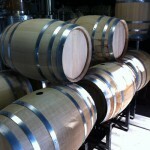 There is also a great deal of speculation or discussion around the value to small barrel aging, 5’s and 10 gallons. We are of the mindset that while they aide in a reduced time for extraction of tannins and vanillins, they do not allow the whiskey to properly mellow, or see the time needed in contact with the charred barrel. 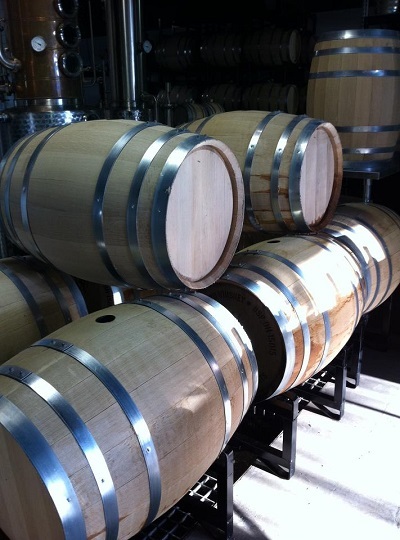 We therefore, use only 30 and 53 gallon barrels, with various char levels and allow time to take over. We also do not mess with heating cycles as much as most do. We actually prefer a more constant temperature, similar to what you would see in Scotland. 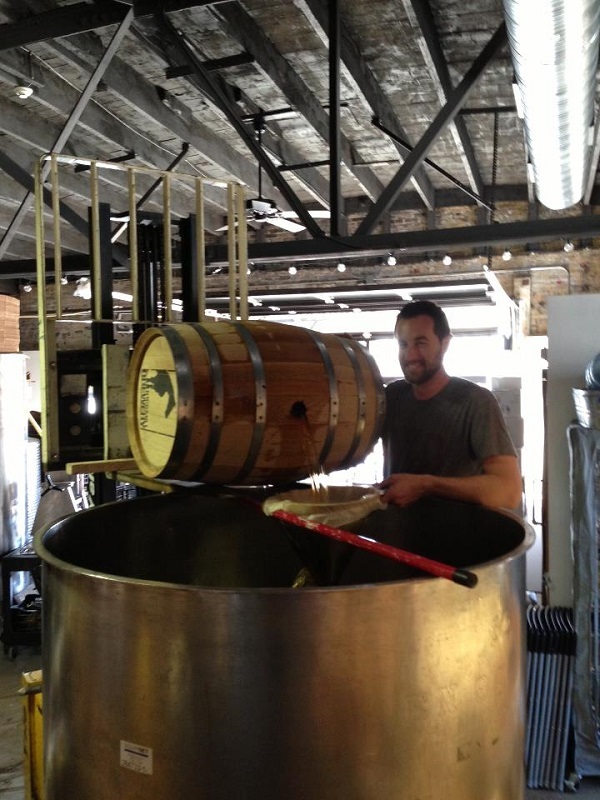 If it takes longer for a whiskey to mature, so be it, we have time… after all, we are making whiskey, right? TD: When did you decide to get in the whiskey-making business? And how did you get started? RL: Whiskey has always been a life-long dream of mine. We have had bootleggers in our family ever since I can remember. I learned about distillation when I was very young. As I graduated school many moons ago, I knew I would enter this industry. 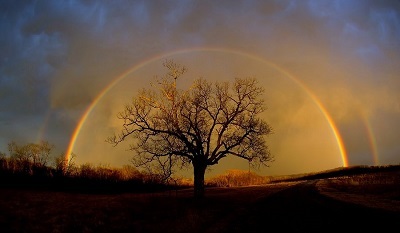 In fact, I was looking at land in Pennsylvania in 2003 and 2004 to start up this venture. It never really took hold until I met my business partner in Columbus, Ohio in 2007. We immediately started producing the business plan that would become our plant in the Short North. We were already building whiskey profiles then. It just takes a great deal of time to bring them to market. We have three released right now with another five planned. RL: That’s an easy one. 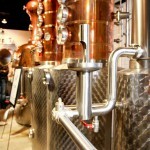 Hands down, it is the actual processes of mashing and distilling. The combination gives you the creativity of a chef in a great kitchen. The results aren’t too bad either, even though it takes years to see the product you created. 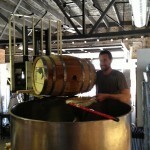 Now that I say that, it’s probably best when pouring directly from a barrel. Watching whiskey fall from a cask after several years, it’s pretty amazing. TD: What was your first whiskey experience? Did your grandmother slip you a nip? RL: It was actually my grandfather. When we were kids, whiskey was used for teething. He would pour some of the product on a rag and wipe our gums with it. TD: Our website is more about experiences than products. Others cover products and tasting notes so well. We’re interested in the stories, the experiences. Running MiddleWestSpirits must be like a kid in a candy store. What, over the years, have been your best whiskey experiences? 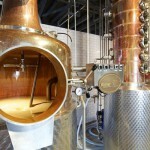 RL: The actual process of operating a distillery is amazing. The tasks of actually running a business are a whole other story. It is the biggest challenge you face as an owner/operator. Most people get into a business because they love it. 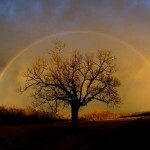 Often, as time progresses and businesses grow, the things you loved are not done all that often. I wish I had more time to do those things. Like I mentioned, running Middle West production is literally my dream job. I wish I actually had the time to sit behind the still more often! As for my best experiences in whiskey, that would have to be my travels to visit other distillers across the world. I’ve had the fortune of sitting with some great people and learning a great deal about heritage and legends of distilling from people with 30 years on me in the business. RL: As for whiskey, I do not discriminate. 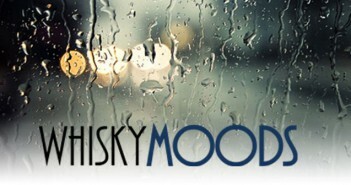 I think every whiskey has its place and time for enjoyment. Bourbons are near and dear to me as my family used to make it, plus it is truly the American whiskey. Usually I pair the drink with the environment really. If however I am in a place to find a great bottle, I really enjoy single cask items, non-stock, often paper labeled. There are stores and collectors that have their hands on some. Those are some unique items. 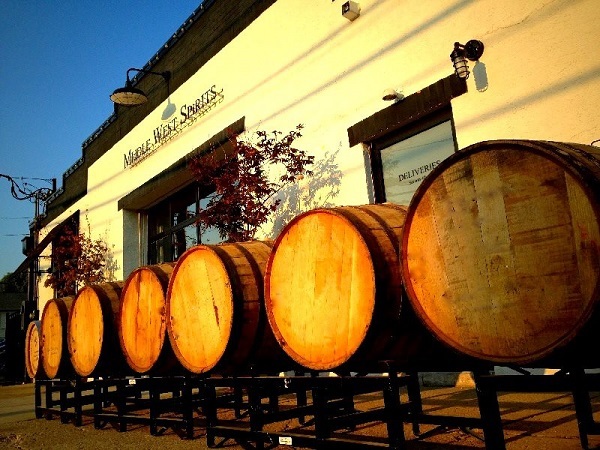 TD: What’s next for MiddleWestSpirits? RL: Our facility has been busting at the seams for a few years. We’ll be looking for more storage for new bourbons we are working on this year and adding a good amount of equipment for increased production. As for products, we do have a few more to release this year. 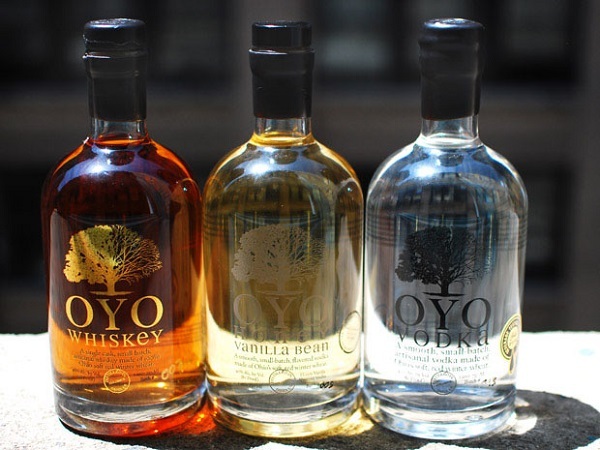 The first will be a bourbon barreled honey vanilla bean vodka… yes vodka. We also have our first in a series of double cask projects set to release. 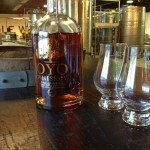 The first is our Oloroso Wheat Whiskey, cask strength. 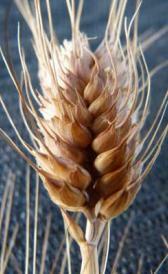 Finally by mid-year, our rye. TD: We can’t wait to try them. Good luck with everything.